"Vines Top Stub Personal Checks" product is already in your cart. 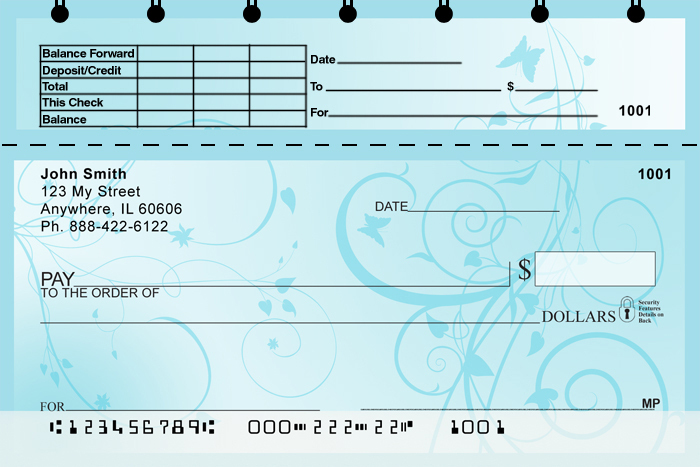 Vines Top Stub Personal Checks have four rotating images offering a tranquil experience every time you use your checks. The elegant and simple design comes in blue, pink, green, and gold.